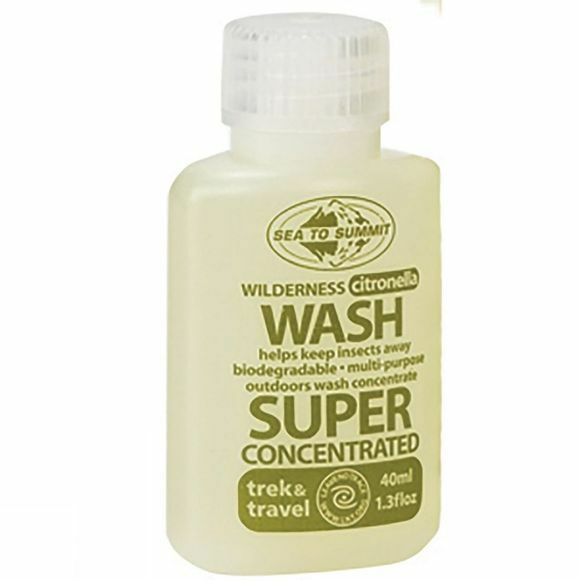 This super concentrated Wilderness Wash by Sea to Summit goes a very long way, it is gentle on fabrics and skin but effective on dishes and laundry stains. The Citronella and Sandalwood essential oils to help deter bugs and odours. All versions are biodegradable but it's recommend you always “Leave No Trace” outdoors by washing at least 100m from waterways.